Well-kept single story in Donner Springs, perfect starter home or investment opportunity. Spacious Entry & Living Room with cozy fireplace, pot shelving, built-ins and soaring ceilings. Kitchen highlighting large pantry, breakfast bar and stainless steel 5 burner gas range. Master Suite is a true retreat with access to the backyard, dual sinks and spacious walk-in-closet with shelving. Fully landscaped backyard with patio & fenced dog run. 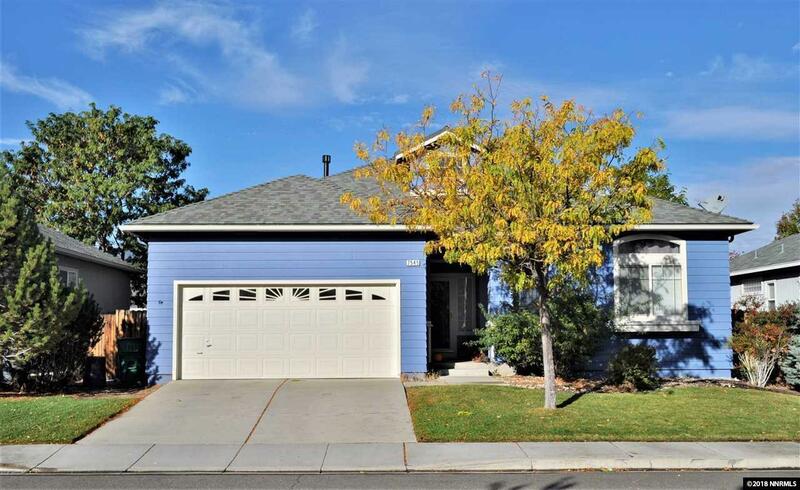 Listing provided courtesy of Homegate Realty Of Reno.